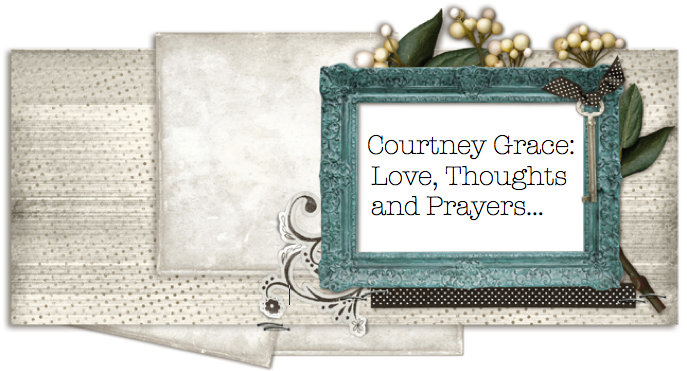 Courtney Grace...Love, Thoughts and Prayers: Airport Waiting and Visiting Mr. I just arrived in Boston and am killing time at the airport until Mr. comes to pick me up. I was going to try to be brave and take the train from the airport to his office, but we decided it might not be worth the hassle. 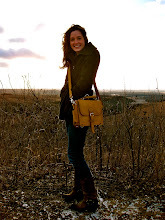 I am slightly directionally challenged and don't really care to haul my suitcases through the city. 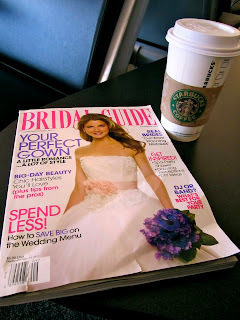 Anywho, I just treated myself to a Starbucks to warm up (the air conditioning in the airport is FREEZING me) and a Bride Magazine. I am so excited to see Johnny in 45ish minutes...HORRAY! I am here until next Wednesday and have my fingers crossed to get a lot of things accomplished together while I am in town! I still say Wed-nes-day! I love playing with words. I tell my kids to take their "Vee-tamins" and they giggle and correct me. Why are airports always freezing?